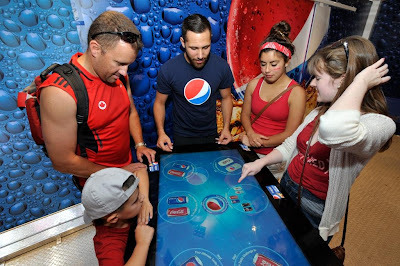 Weighty Matters: Canada's Capital City's Official Canada Day Celebrations Included The Pepsi Taste Challenge?! Canada's Capital City's Official Canada Day Celebrations Included The Pepsi Taste Challenge?! Honestly, was there not a single person involved in the planning and organizing of Ottawa's Canada Day celebrations that didn't speak up and point out that perhaps "The Pepsi Taste Challenge" and the consumption of sugared soda isn't something to do in the name of "Family Fun" (that's how it was billed in the program)? As far as how it happened - well that's easy. 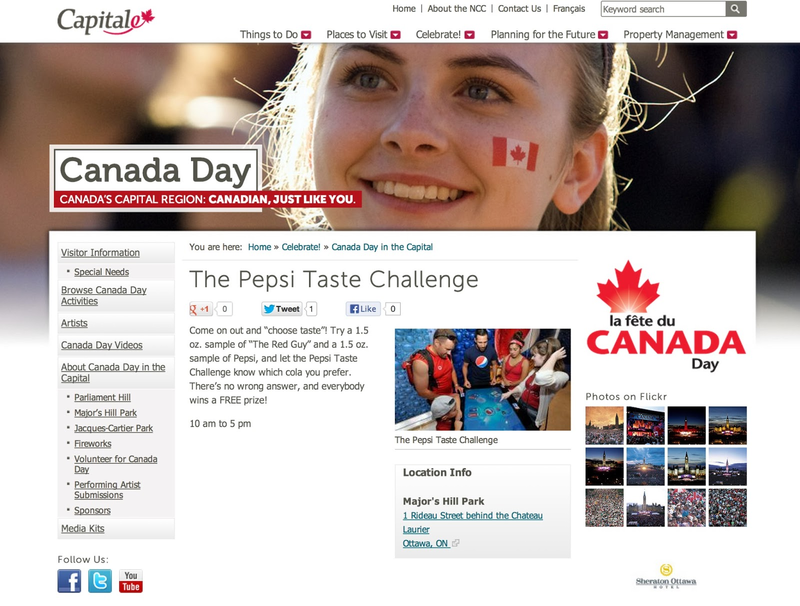 Pepsi was a "major sponsor" of Ottawa's Canada Day celebrations. Because what says Canada more than drinking soda? Hey wasn't Ottawa's Mayor once the Minister of Health Promotion? Mayor Watson, did this event promote health?